Elena Bosetti was born in Trento, Italy, and is a Sister of Jesus the Good Shepherd of the Pauline Family, which was founded by Blessed James Alberione. She teaches New Testament at the Pontifical Gregorian University and the Theological Institute of Consecrated Life (Clarentianum) in Rome, as well as the Institute of Religious Studies in Modena, Italy. She is a member of the Italian Biblical Association and of the National Coordination of Bibilical Apostolate. She collaborates in various forms of evangelization, including radio, and is the author of many popular books on Scripture. Among those available in English is the series A Contemplative Reading of the Gospel: Mark: The Risk of Believing; Matthew: The Journey Toward Hope; Luke: The Song of God's Mercy; and John: The Word of Light. 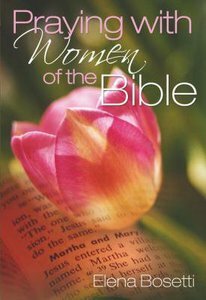 About "Praying With Woman of the Bible"
Elena Bosetti teaches New Testament at the Gregorian University in Rome and also the Institute of Religious Studies in Modena. She collaborates in evangelisation and is the author of many popular books on scripture (including Praying with Women of the Bible and devotional commentaries on the Synoptic Gospels, published by Pauline Books and Media in the USA), and is a Sister of Jesus the Good Shepherd of the Pauline Family.